SteamPunk city! Recruiting builders to help me! 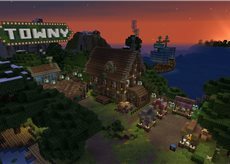 Vote for what i should build! Why does it log me out?!?!?! which is the best paint tool? I need Ideas For my project "To the stars"